After first working together on 2016 Nico tribute Killer Road, Soundwalk Collective and Patti Smith have announced another collaborative full-length. Titled The Peyote Dance, the effort arrives May 31 through Bella Union. Eight tracks in length, The Peyote Dance marks the first of three albums set for release by Bella Union this year as part of a series titled The Perfect Vision. Each entry takes inspiration from the writings of French poets Antonin Artaud, Arthur Rimbaud and René Daumal, respectively. Inspired by his book of the same name, The Peyote Dance is said to focus on Artaud's encounters with the Rarámuri and peyote shamans of Tarahumara while in Mexico in early 1936. The poet's goal was to find a peyote shaman that could heal him, allowing him to recover from an opioid addiction. 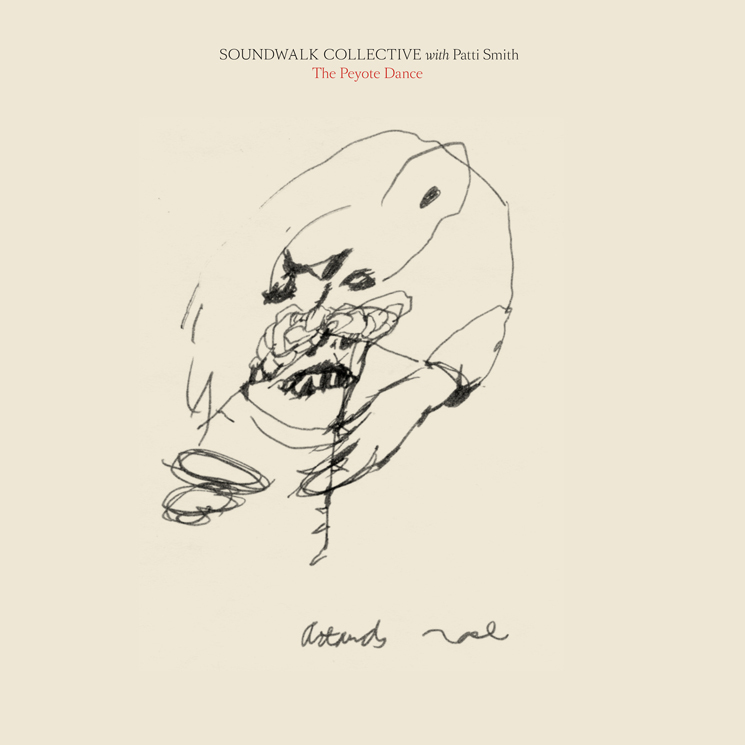 For their album, Soundwalk Collective and Smith revisited Artaud's book and other texts written after his return to France. Recorded the Sierra Tarahumara of Mexico, the artists "were able to awaken the landscape's sleeping memories and uncover the space's sonic grammar" by retracing the poet's steps and using instruments made by the Rarámuri themselves. "Taking peyote in those regions, you have the feeling that everything is communicating with you as it was for Artaud — nothing has changed," Soundwalk Collective's Stéphan Crasneanscki explained of Sierra Tarahumara. "On an atomic level, there is no separation between you and any other organism: trees, leaves, flowers, but also stones and sand. There is no duality. Everything is embedded, everything has a soul, and the soul is timeless. We are not alone. These sonic spaces are pre-existing to us and will exist after us, to be able to listen to them is an act of presence." A first taste of the effort is available to hear below with "The New Revelations of Being." The Peyote Dance is available for pre-order here.